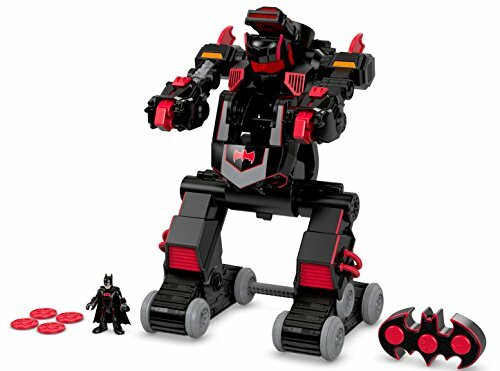 Batbot Xtreme is a robot from one of the DC Super Hero Friends Imaginext Fisher Price series based on Batman. He’s scheduled to be released in September, 2017. Because of the popularity of the DC Super Heroes and their friends from TV shows, movies and comics, this new, imposing robot will be one of the Christmas Season’s most sought after toys. 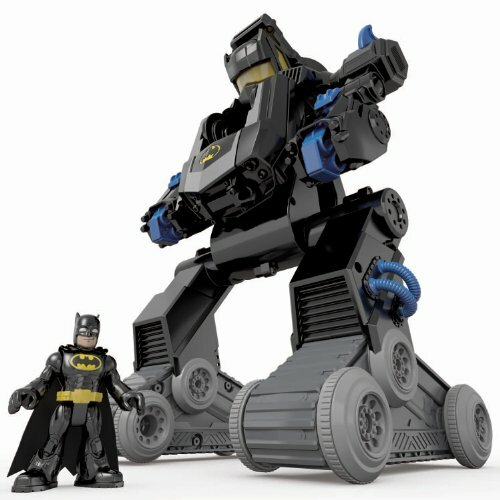 Kids age 3 to 8 who own this toy will spend hours dreaming up ways for Batbot to capture enemies and protect the world. BatBot makes a great gift for little Batman fans. Batbot captured the attention of many who attended the 2017 New York Toy Fair when it was introduced in February. From what was shown at this Fair, it's guaranteed that kids will be excited to get their hands on this toy. And if you are an adult who has always been a fan of the Batman series, you will find Bat Bot Xtreme a great toy for young kids. Bat Bot Xtreme is a fun toy for kids and gives them an opportunity to create all kinds of imaginary play scenarios. It has multiple projectile launchers, extendable wings, a voice changer, a hidden Batcycle and fists that deliver real punching blows. Kids will have so much fun helping him defend Gotham City from the evil Super Villains. Opportunities for imaginative play with this toy are unlimited. Kids' imaginations will soar. Imaginative play helps to develop cognitive skills as well as skills in storytelling and language development. Bat Bot Xtreme is powerful. He is about two feet tall and towers over the bad guys. Using the Power Pad, kids can prepare BatBot for action by extending his wings and arms. A squeeze of the trigger on his back will send out a super charged punch. There is a Power Pad on his left shoulder. When turned on, his chest opens up, revealing a hidden elevator. The elevator takes BatBot to the cockpit, where he can then launch an attack on the Villains. There are also launch buttons on his shoulders to launch the projectiles. The BatBot Xtreme has a unique voice changer built into it. This is a cool feature that kids will love. They will get a kick out of being able to change their voice. It’s lots of fun having the ability to change your voice to something deep and scary that will frighten the enemy. * While in battle, kids can use the voice changer for dramatic voice effects. * He’s an opposing 2 ft tall and has punching fists, wings, a motorcycle, voice changer, and projectile launchers. * A small Batman figure can fit inside the elevator and take him to the cockpit. * Press the buttons on his shoulders and he fires projectiles at the enemy. Even though it has not been released yet at the time of this writing, it looks like the BotBat Xtreme Imaginext DC Super Friends Batman will become a hit with kids and adults. The robot offers so many creative and imaginative ways for kids to interact with it. It will stir small kids’ minds and help them develop critical learning skills while having fun. The scheduled release price is expensive, but it is worth its price. It is big and has several accessories. I think it is a good buy for kids who are fans of the DC Super Heroes especially Batman. Click here to pre-order BatBot Xtreme now and avoid being disappointed if it sells out quickly.